An app that helps young children in the early stages of writing. This is a good app that utilises repetition to help engage and improve young children’s ability in letter formation. Once the app is opened the user is welcomed straight on the main content screen for the app and this is where the ‘action’ takes place. The main bulk of the page is made of two complete and two dotted lines that give guidance for formulating the correct letters in the correct way. The top third of the screen contains all the letters of the alphabet and at the very top a number of icons to change different options. 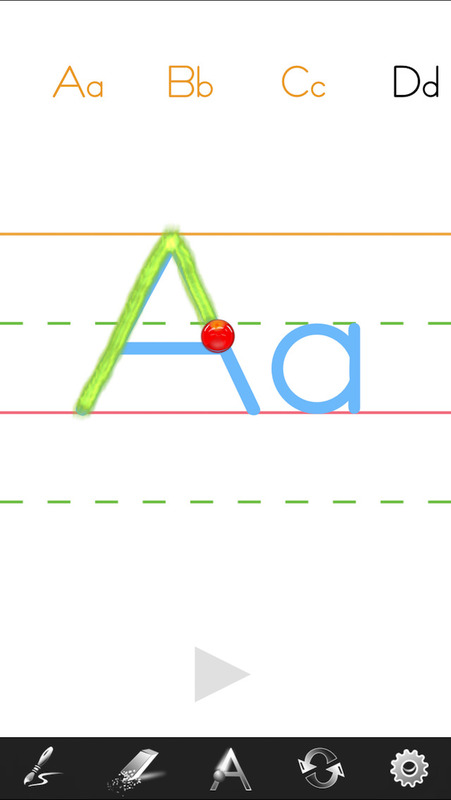 One of the best features of the app is the ability for the letter formation strokes to be saved. This then allows any educator to view not only the final formation of a letter from a young person but also how they have completed writing the letter and whether there is anything in particular they are doing incorrectly that may need to be worked on, for instance this may be formulating the circles, that exist in many letters, by going clockwise instead of anti-clockwise. If this option didn’t exist then when assessing the final letter formation, the educator would not know if it had been done correctly as they would only see the finished article and not the process. This is important in beginning to learn how to write as it forms the basis for all teaching of writing in the future. The app itself also gives the user, in the top bar of the screen, the option to have the letter they are choosing to write, written in the correct way. This allows the teacher the ability to model to the child how it should be done, or if the app is being used at home then the child is able to use this option to make sure they do it correctly. Other options at the top of the screen allow the user to change the colour and style of the writing through different pens, erasing their efforts for that particular word so they begin afresh, deleting the recordings for all the letters so far and then a further settings option. In the settings window there is the option for the user to select between upper or lower case letters, both or numbers. The ability to add a bit of differentiation to the app is useful as an educator or parent could limit the user to just certain letter formations such as upper case letters. There is also the option to remove the guide lines from the page and again this could be useful for slightly more able pupils. The user also has the option to adjust other things such as speed of animation of the voice level of reading out the letters and this enables them to adjust the app to their personal requirements. As mentioned above there is an option to allow the user to hear how each letter is pronounced. This happens once you click on each different letter to attempt to write. The pronunciation is just of the letter without the sound being given and this would be an excellent addition to the app to make it even more useful as it would help young children start to associate and compound the letter, how it is written and its sound all together. Overall the app is very good at what it does however, there is quite a small scope to it in just allowing young children to practice their letter formations. To improve it further it would be good to have the option to write the learnt letters alongside other letters via words etc. With the ability to save the recording of how the letters are produced this could be a really powerful addition to the app. The app educators choose for classroom use, and the only app that records a child's letter strokes for parents and educators to review. 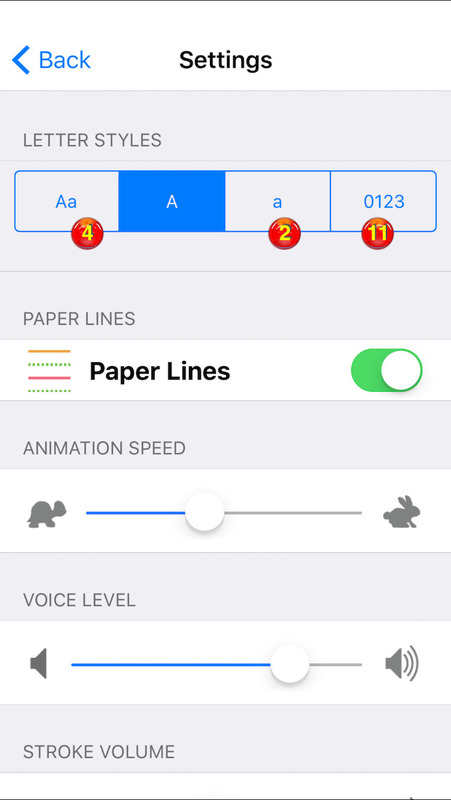 Learn to Write is a fun way for children to learn how to write their letters and numbers, and with the improved playback feature in version 4.1, it's easy for the teacher to make sure they do it correctly. 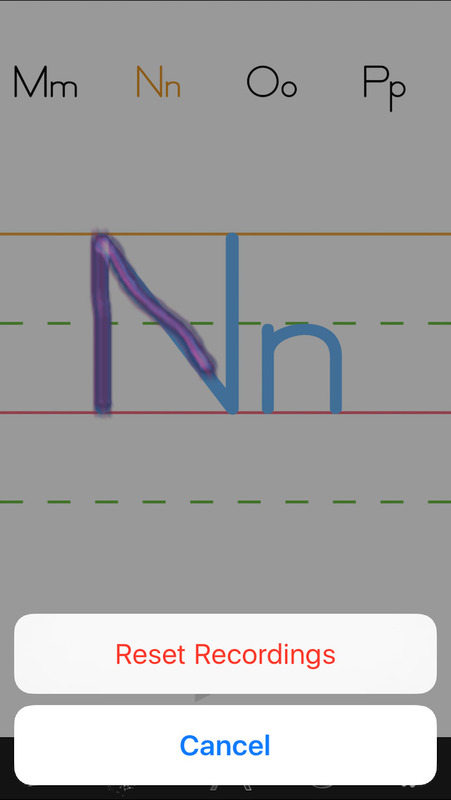 This unique playback function, found in Learn to Write, saves the child's writing so you can play it back in real time to see how the child is forming letters and numbers. Children learn the proper strokes with the help of an adjustable-speed-animated ball that they can follow and write along with. With each selection of a letter or number, an audio file says the letter to aid in memorizing the alphabet. Over a dozen unique pen styles are available for tracing. Parents enjoy the educational value and entertainment this mess-free learning tool provides (after all, who needs crayon, marker, or pencil stains on the carpet, table, or wall?). Also great for long car trips, doctor's offices, and other waiting times. Write letters and numbers, or draw on the screen, and push the play-back button to see it all in real-time. Not only is this a great app for teaching children at home, educators are also choosing this app for classroom instruction. You won't find silly cartoon characters and frustrating feedback that tells children they formed letters incorrectly when they failed to trace exactly as outlined. You help children Learn to Write, and then you can review the strokes of every letter formed for further one-on-one instruction. No advertisements, popups, or storing of personal data. The strokes used in Learn To Write resemble the Zaner-Bloser style, which is also used in Romalda Spalding's The Writing Road to Reading, with the exception that O’s and Q’s are started at the top 12 o’clock position instead of the suggested 2 o’clock position. Not all teachers agree on the proper strokes for some letters. For example, some teachers prefer that the pen or stylus never leave the paper except to cross a t, or dot an i. A person's handwriting often adapts with time to be as efficient as possible, while still maintaining proper form. This application is meant as a guide to children and parents, but your individual curriculum may differ slightly. -Select numbers, or letters in lowercase, uppercase, or mixed case using the segmented control on the settings screen. -When a letter is selected and the child writes upon the screen, the writing is saved in memory. Pushing the triangle-shaped play button at the bottom of the writing screen plays back the last recorded strokes for each letter. A toolbar button allows the user to erase all of the saved strokes in memory. -Red number icons on the settings screen give the total number of letter or number recordings. 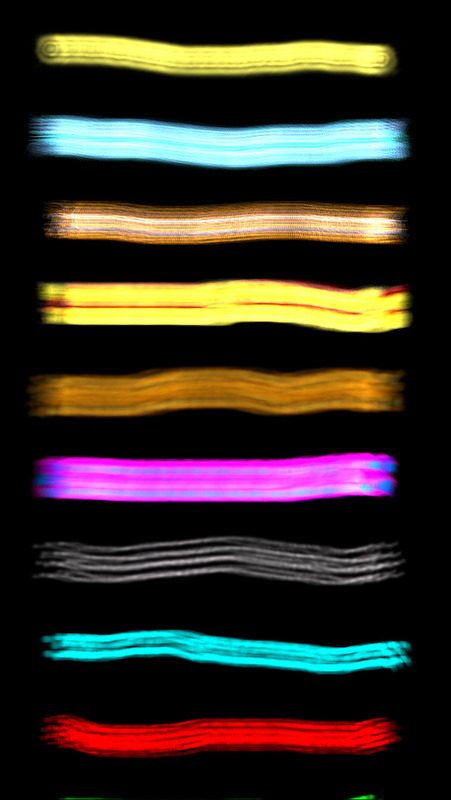 -The brush button displays a pulldown menu full of usable brush styles. Just touch the brush-style to select it. -Letter buttons display the letter on the screen and turn orange when there are saved strokes for the letter. At any time the user can draw using one's finger, just like a real pen and erase the drawing with the erase button on the toolbar. 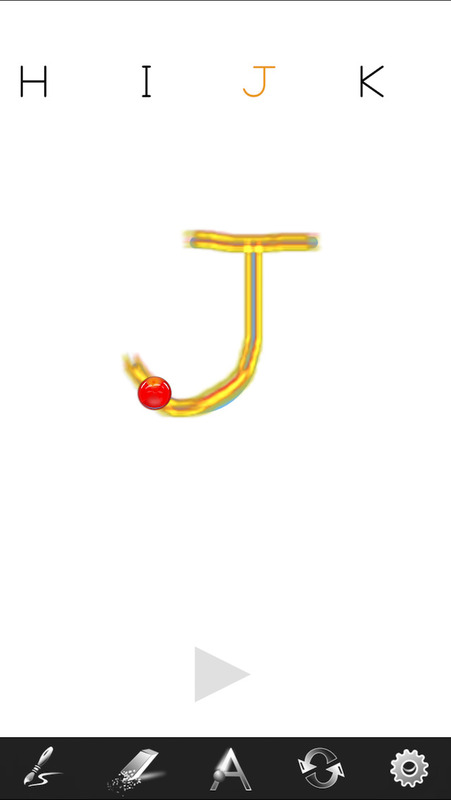 -The toolbar button with a letter and ball activates the animated red ball, which demonstrates proper letter or number formation. - Adjust the speed of the ball and volume using the sliders on the settings screen. -Press the home and power button at the same time to take a snapshot of the screen and save it in the photo archive of the device .